So I have been knee deep in trying to finish up the first draft of Between Black and White (almost finished! ), and I am way behind in updating everyone on the events of the past couple months. 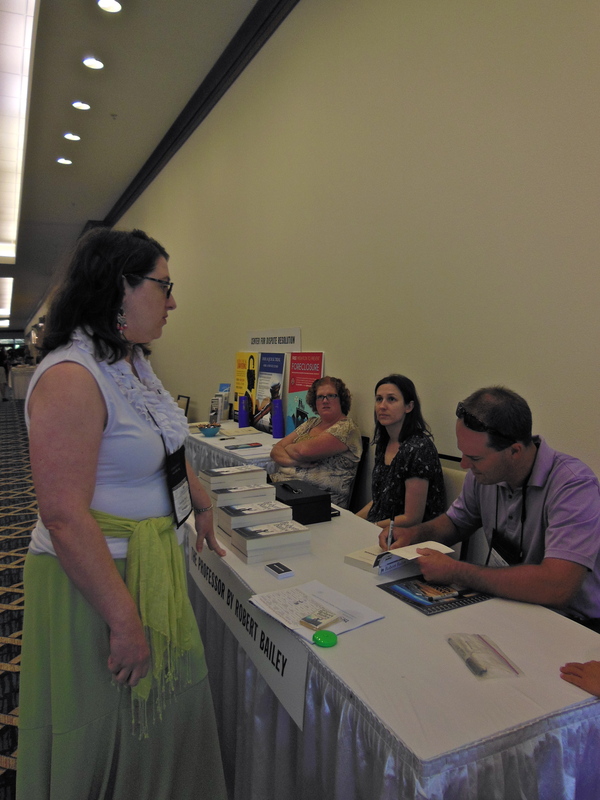 I’ll try to catch up this week, and I’ll start off with our fantastic signing at the Alabama State Bar Annual Meeting at the Sandestin Hilton. Me with former State Bar President and longtime friend, Alyce Spruell. 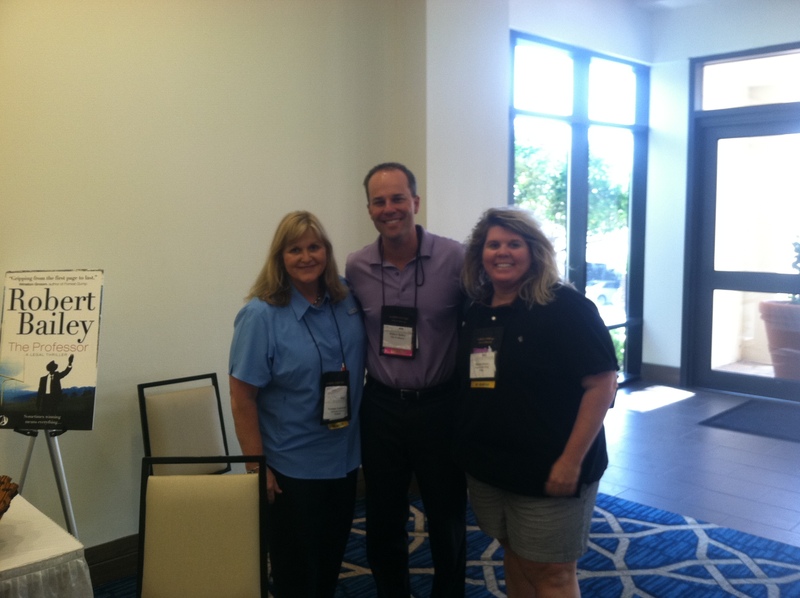 On Thursday, July 10, 2014, I was honored to be one of the exhibitors at the Alabama State Bar Annual Meeting, which was held at the magificent Sandestin Hilton in Destin, Florida. 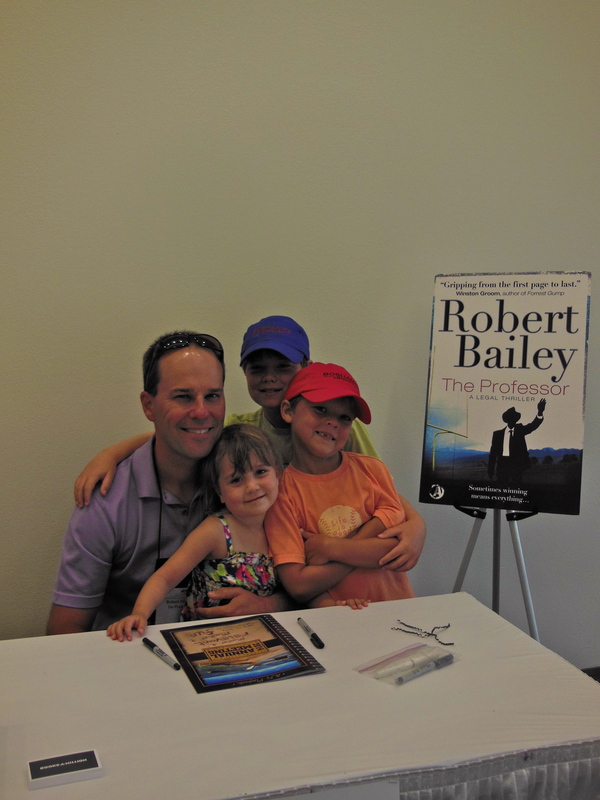 From 1:30 to 5 that afternoon, I signed 46 copies of The Professor for colleagues and friends. 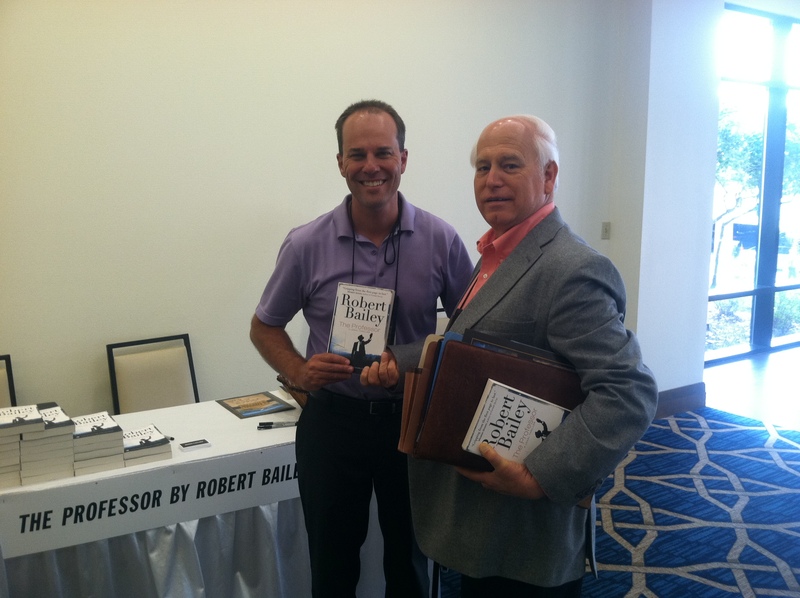 As an attorney in Alabama for the past 15 years, I have attended the annual meeting on many occasions, and I was honored to be able to have a book signing during the State Bar’s premier event. Special thanks to incoming State Bar President and good friend, Rich Raleigh, for his assistance in setting up the event as well as Kristi Skipper, Christina Butler, Laura Calloway and Marcia Daniel with the State Bar, who were extremely helpful and supportive throughout the leadup to the event and during the signing itself. Also, I want to thank everyone who dropped by my booth, including my old friend and law school classmate, Jennifer Precise, former State Bar President and Tuscaloosa attorney, Alyce Spruell, my friend and colleague from Decatur, Phil Mitchell, longtime friend Ashley Swink Fincher of Mobile and numerous others. 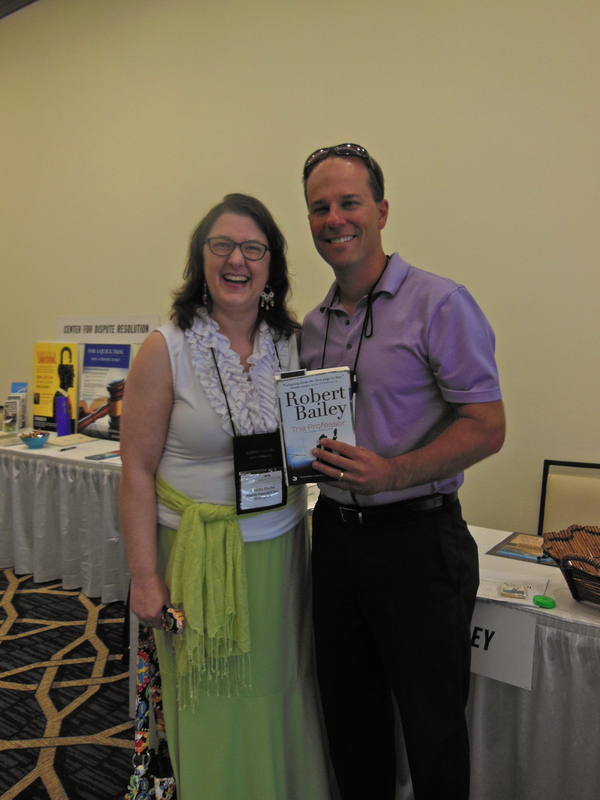 Also, a big shout out to Brandy Lorch of Books-A-Million, who was on hand again to sell the books. 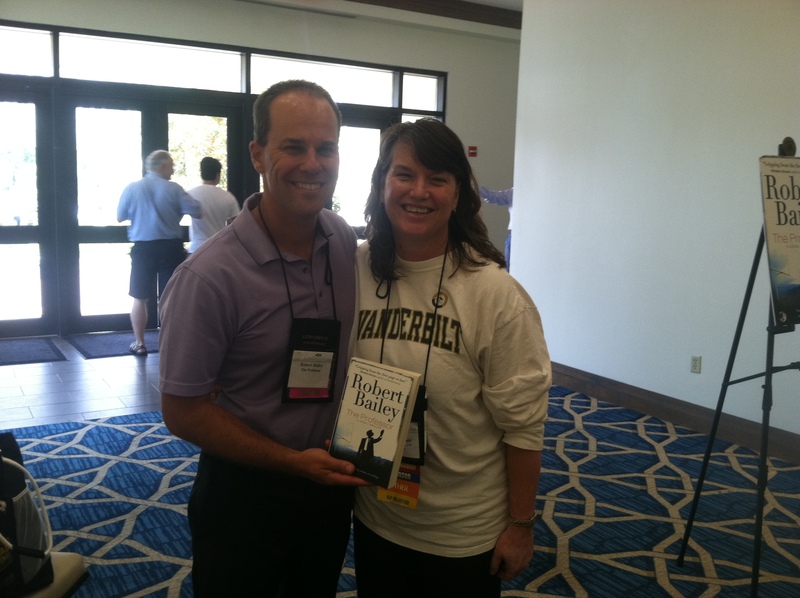 Brandy was also present for our fantastic signing at the Young Lawyer’s Sandestin CLE back in May. It is always so fun meeting new people, and discussing The Professor. I was especially grateful that Dixie and the kids were able to come to this event, and we had a great time both before and after the event enjoying the pool and beach at Sandestin. All in all, it was the perfect way to wrap up our tour of the Gulf Coast, and another fantastic day for The Professor. Signing a book for Jennifer Precise. Me with Jimmy, Bobby and Allie. This entry was tagged Alabama State Bar Annual Meeting, Sandestin Hilton. Bookmark the permalink.